Walter Sillers Jr., Mississippi Delta planter, attorney, state legislator, and segregationist, was born in Rosedale, Mississippi, in Bolivar County, on 13 April 1888. His parents, Walter Sillers Sr., a former state legislator, and Florence Warfield Sillers, were prominent Delta residents, and by the 1940s, the younger Sillers had become arguably the state’s most powerful political figure. Sillers earned his law degree from the University of Mississippi in 1909 and joined his father’s Rosedale law firm. On 22 November 1911 he married Lena Roberts, daughter of state legislator William Beauregard Roberts and his wife, Minnie Poole Roberts. In 1915 he won the first of his thirteen consecutive terms representing Bolivar County in the Mississippi House of Representatives. During the 1930s and 1940s Sillers, Joseph George, Lawrence Kennedy, and Thomas Bailey were known as the Big Four state legislators, using their positions as chairs of key committees to attempt to control the flow of legislation coming from the Governor’s Mansion and causing some famous battles with Gov. Theodore Bilbo. Beginning in 1944, Sillers served as Speaker of the House. Ever the advocate for Delta planters, Sillers helped found the Delta Council in Cleveland in 1935. He served on it until his death, holding at different times the position of director, committee chair, and officer. As head of the Resolutions Committee, Sillers helped make clear the philosophy of Delta planters: “Federal economy everywhere but in the Delta.” Like most members of the Delta Council, Sillers believed in crop subsidies and government loans to planters and federal programs for building and new technology. He also served as counsel to the Bolivar County Board of Supervisors. After World War II, as the National Democratic Party grew more responsive to the demands of African Americans, Sillers and other key political figures in Mississippi and the other Solid South states of Alabama, Louisiana, and South Carolina chose not to support the national Democratic Party and its candidate, Harry S. Truman, in the 1948 presidential election. Instead, they formed the State’s Rights Democratic Party, nicknamed the Dixiecrats, and chose Jackson as its headquarters. The Dixiecrat convention, over which Sillers presided, nominated Strom Thurmond of South Carolina for president and Fielding Wright of Mississippi for vice president. Sillers subsequently remained loyal to the Mississippi Democratic Party but not to the national party, staunchly advocating state’s rights and opposing the development of a two-party system in the Magnolia State. 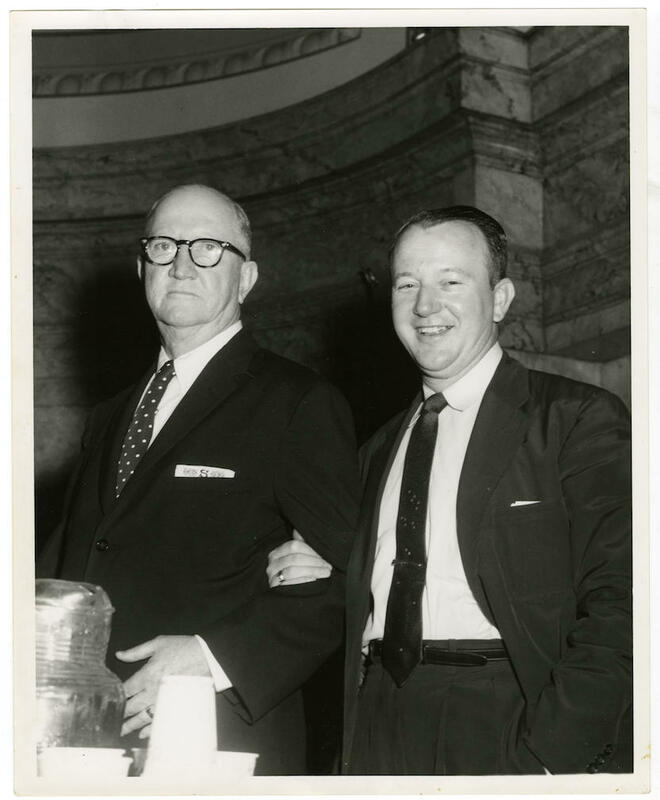 In the 1950s and 1960s Sillers remained an opponent of African American civil rights legislation and worked through the legislature to maintain segregation. He never joined the Citizens’ Council but praised its members as “all outstanding, upright white citizens of Mississippi.” His tenure as Speaker ended only with his death on 24 September 1966. His body lay in state at the Capitol in Jackson, and he was buried in Rosedale. Article Title Walter Sillers, Jr.